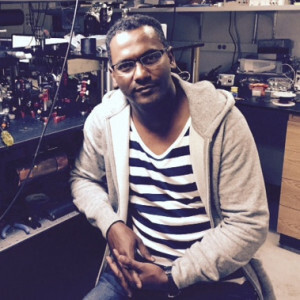 Ahmed is a postdoctoral researcher in the Physics Department at the University of California Berkeley. His research focus is quantum simulations and quantum information processing with magnetically and electrically confined individual particles. At the moment, he works with trapped ions, i.e. electrically confined charged particles, to execute quantum gates and/or algorithms beside simulating solid state structure for investigating interesting physical configurations, such as phase transitions. Ahmed is originally from Sudan. He obtained his Master degree from Europe at KTH University in Sweden and Leipzig University in Germany. He moved to Australia to earn his PhD from Western Australia. Ahmed also traveled across Asia before working in UC Berkeley.